As of today, a felony DUI law is in effect in Colorado, allowing for felony charges to be filed when people are arrested for a DUI for a fourth time in the state. Given that this law will have some important new impacts – and that up to 1,700 people are expected to be facing felony DUI charges within the first year this law is in effect, below, we’ll point out what you need to know about this law and the potential consequences of getting a fourth DUI in Colorado. With the Colorado felony DUI law going into effect today, here is what you need to know about this law, an Adams County DUI lawyer explains. Contact us for the strongest CO DUI defense. 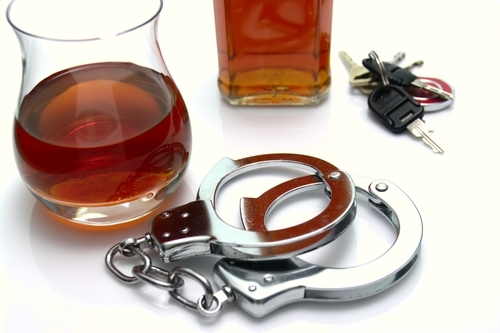 A felony DUI conviction can come with serious penalties – A fourth DUI charge, per the new felony DUI law, can be filed as a Class 4 felony, which is punishable by up to 6 years in prison and up to $500,000 in fines. It has been estimated that the costs of enforcing this law will be about $1.7 million within the first year due to the increased costs of incarceration. There is no ‘washout’ period for DUIs in Colorado – For anyone who has gotten a DUI (or a DWI) in Colorado in the past, this is an important fact to know. This is because the lack of a ‘washout’ period in Colorado means that, for the purposes of this law, any prior DUI a person has accumulated – even it was 10 or 15 years ago – will count against them when determining whether to file misdemeanor or felony DUI charges against that individual in the event he is arrested for a DUI again. DUIs acquired in other states can count against you in Colorado – Along with the above point, if people have been convicted of DUIs in other states throughout the nation, these convictions can also count against them for the purposes of determining whether they should face misdemeanor or felony DUI charges in Colorado (in the event they are arrested for DUI again in Colorado). Colorado felony DUI penalties can be mitigated by treatment – While the new possibility of felony DUI charges in Colorado can be scary, it’s important for people to also realize that, in the event of conviction, penalties for felony DUIs may be mitigated by alcohol treatment and rehabilitation. This is because judges will have the discretion to order treatment (in lieu of more prison time) when a case can be made that treatment would be more effective/beneficial to the offender. Have you or a loved one been charged with a DUI? If so, a Boulder & Adams County DUI lawyer at Peter Loyd Weber & Associates is ready to immediately start defending you. Our primary concern is protecting your constitutional rights throughout the criminal process while helping you obtain the best possible outcome to your DUI case.